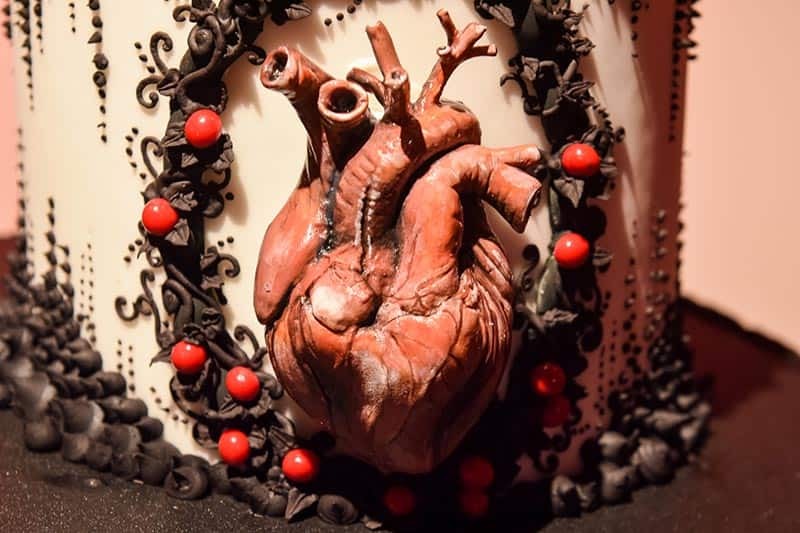 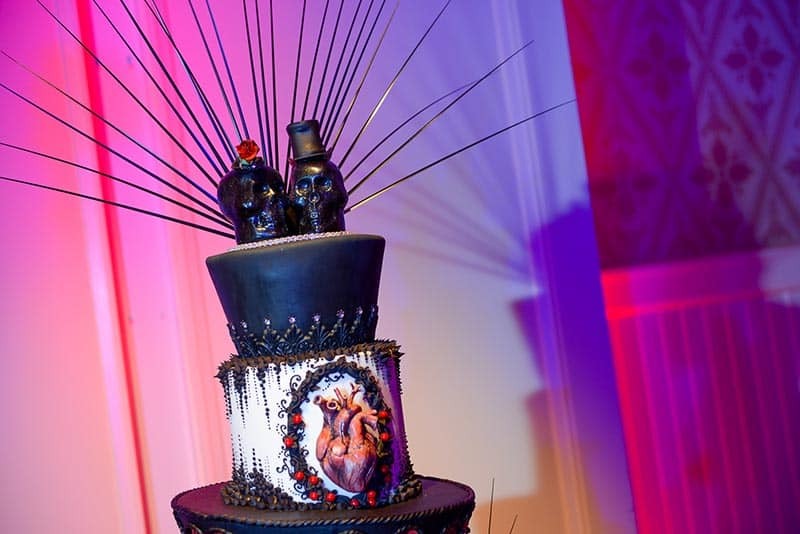 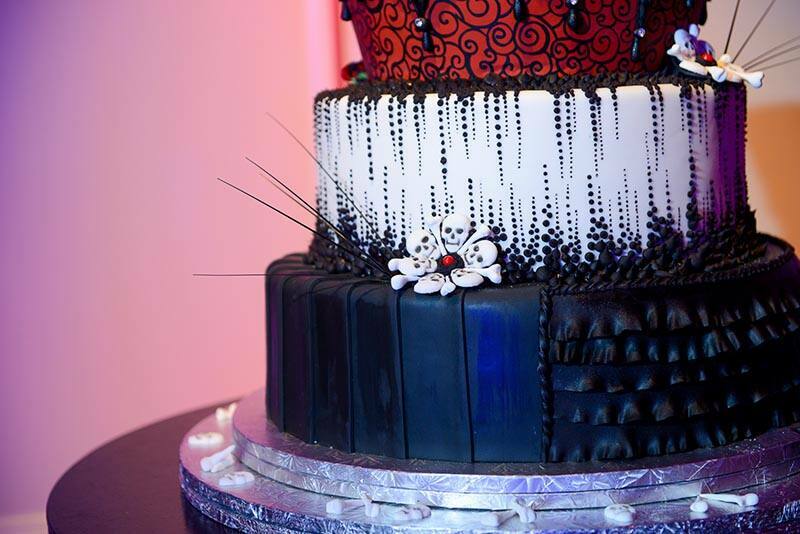 October is known for spooks and scares, so there was no better time to post this gothic wedding cake. 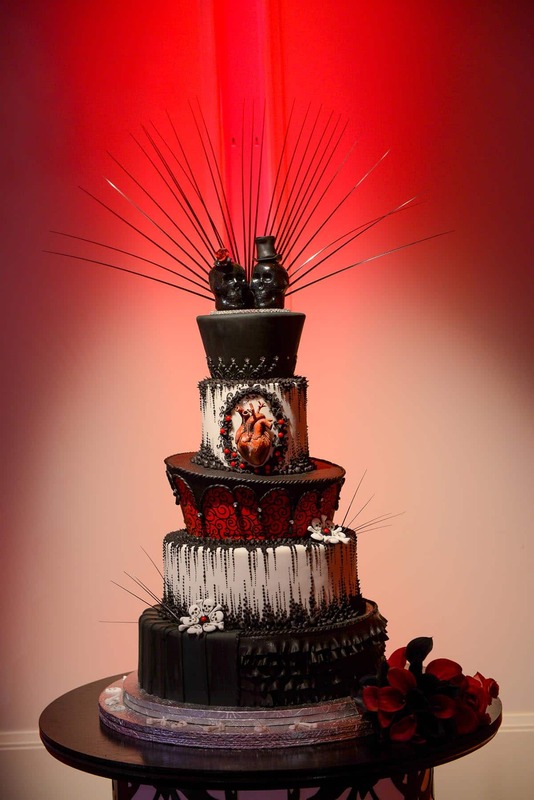 Delight your guests with this sinister treat and enjoy all the intricate designs throughout. 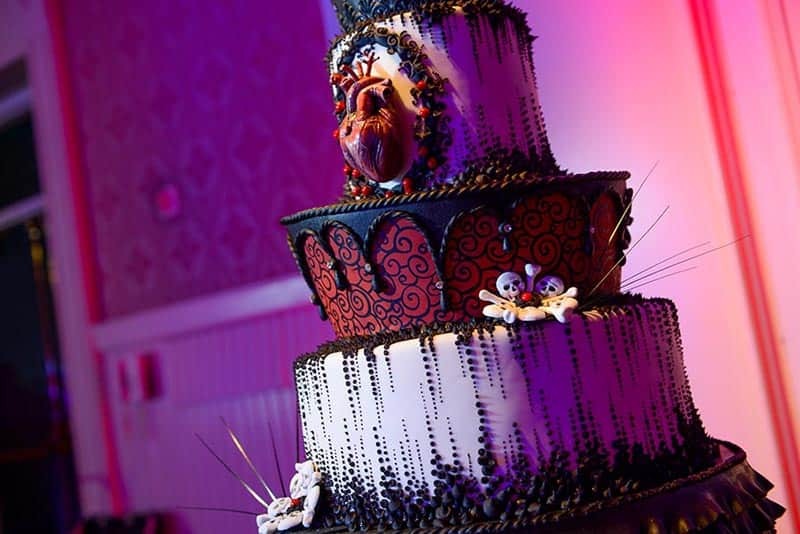 Each of these five tiers is brimming with dark details from skeletons to an incredibly realistic human heart. 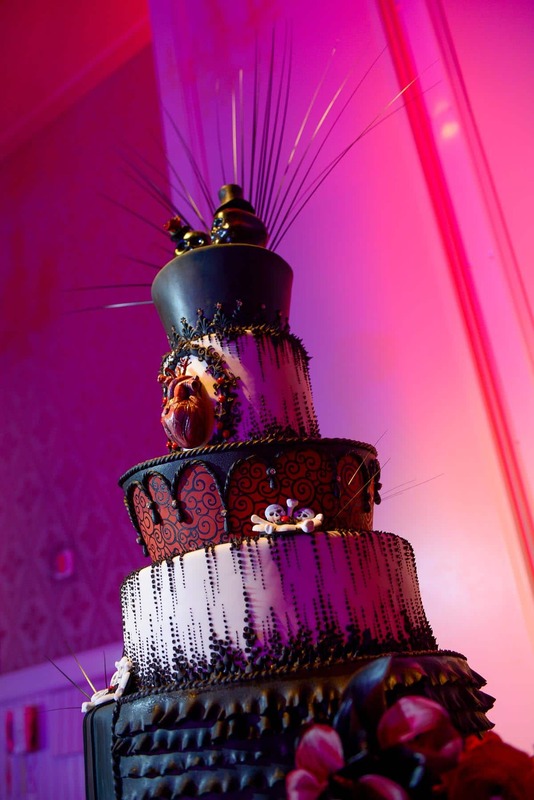 This dessert is perfect for a Halloween wedding, especially one with a villains twist!